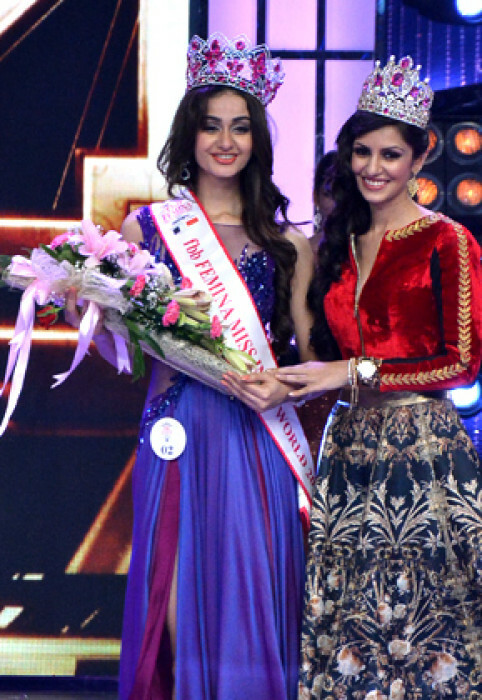 Gurgaon girl Aditi Arya was endowed fbb Femina Miss India World 2015 at a gleaming ceremony at Yashraj Studios in Mumbai. 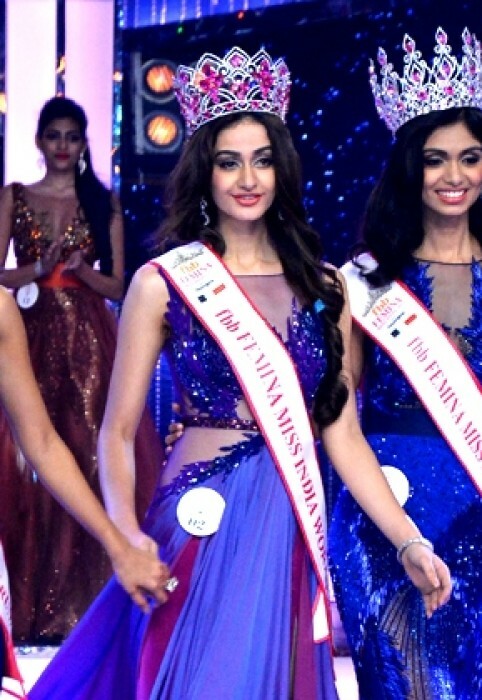 Afreen Racheal Vaz was adjudged first runner-up while Vartika Singh second runner up at the grand finale of 52nd year of fbb Femina Miss India, which took place on late Saturday night. 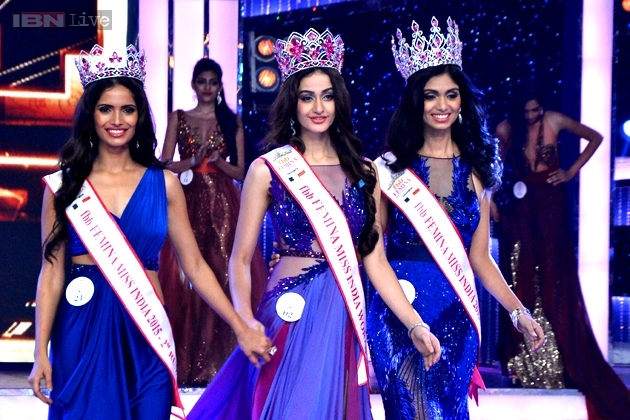 Aditi will going to represent the country at Miss World pageant and the runners-up Afreen and Vartika will participate in various international titles. The event was judged by various personalities from the industry like John Abraham, Anil Kapoor,Manisha Koirala, Sonali Bendre,Shilpa Shetty, Sonu Nigam, Firoz Nadiadwala, Abu Jani & Sandeep Khosla, Shiamak Davar and Chitrangada Singh. John Abraham said, “We judge the personality. 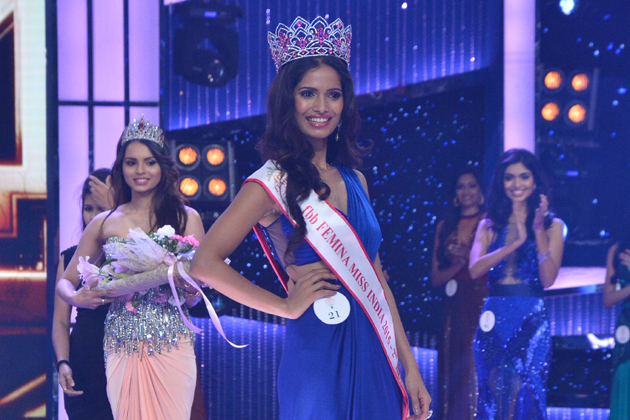 It is not just about the looks, it is about the character, because a Miss India represents our country at Miss World. It is more about personality, more than just plain looks“. 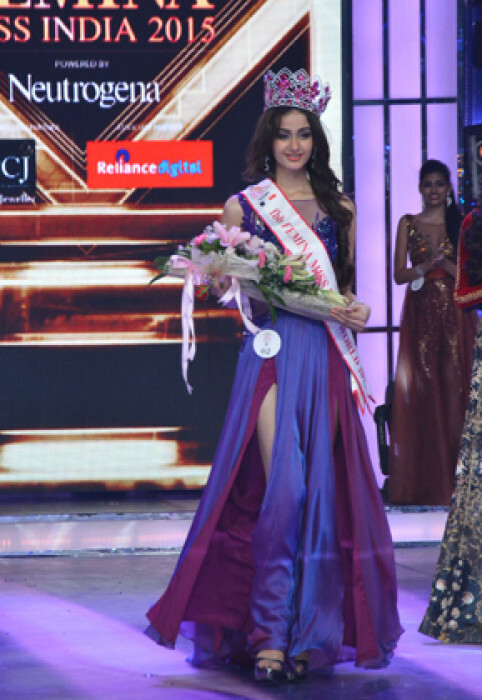 While Sonu Nigam said, “This is my 3rd year judging Miss India. 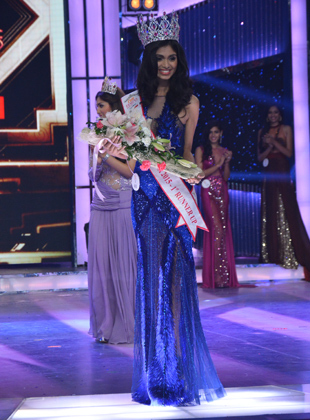 It is great because you see so many contestants who want to make it big in life”. Anil Kapoor said that “every girl and every person has something special“. The red carpet saw various other celebs like Rocky S, Naseeruddin Shah, Paresh Rawal. The show was hosted by actor and host Manish Paul, who entertained the audience along with actress Neha Dhupia. 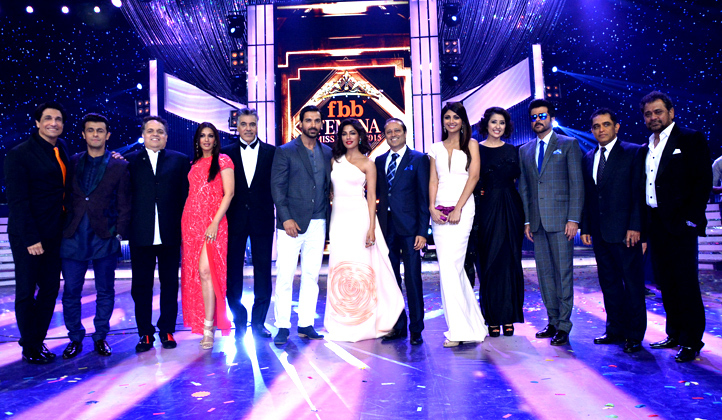 The 2015 Fbb Famina Miss India edition saw electrifying performances by Bollywood stars – Kareena Kapoor, Shahid Kapoor, Jacqueline Fernandes and famous singers like Kanika Kapoor, Meet Brothers, and Shalmali Kholgade. 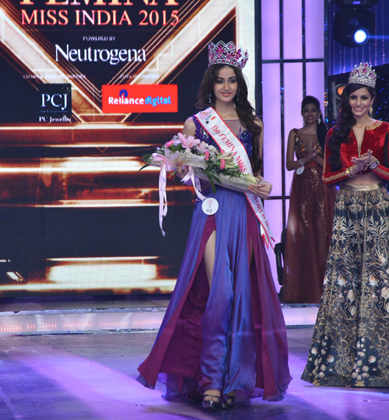 The sensational 21 finalists were introduced in gorgeous saree gowns by ace designer Mandira Wirk. They all were then seen in the unique collection of fbb created by Sailex that featured the finalists draped in luxuriously classy styles of the house, design as per the fbb Spring Summer 2015. 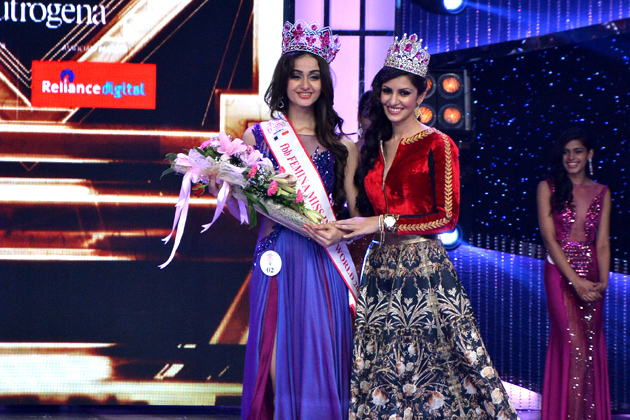 The Top 5 finalists – Afreen Racheal Vaz, Tanya Hope, Vartika Singh, Aditi Arya and Deeksha Kaushal, were escorted on the ramp by TV actors including Gautam Gulati, Karan Tacker with others. 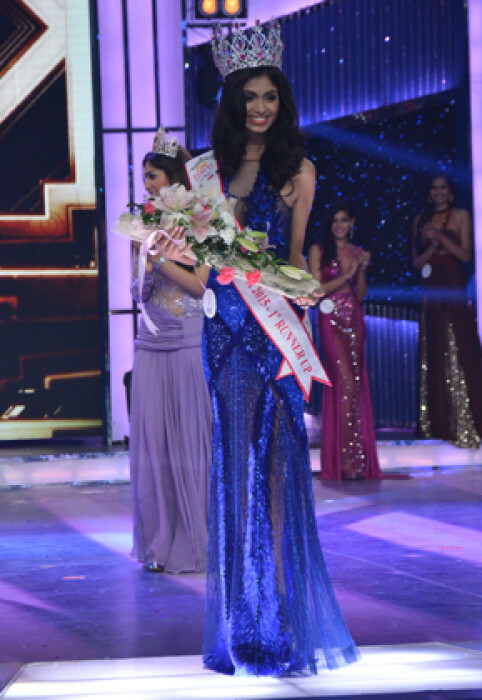 The grand finale also saw the crowning of two sub-titles-fbb Miss Beauty with a purpose, Vartika Sing and Reliance Digital Miss Multimedia, Rewati Chetri. Aadhaar Card: Should be the compulsory document for welfare schemes?